Natalie Pedregal Thomas focuses her practice on commercial litigation with an emphasis on construction litigation. She is Board Certified in Construction Law by the Florida Bar and represents contractors, subcontractors, homebuilders, design professionals, owners and sureties in various complex construction matters, including claims involving defects in construction and design, water intrusion, delay damages, lien foreclosures, default terminations, differing site conditions, bond claims and contract disputes. 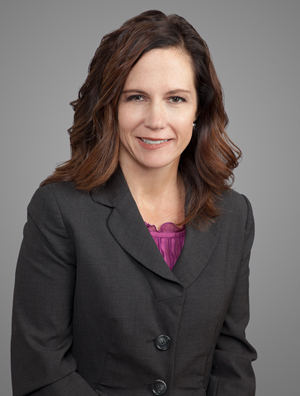 She also represents clients in construction licensure disputes and has experience in the drafting and negotiation of construction contract documents. In addition to her construction experience, Ms. Thomas also handles a variety of complex commercial business matters including issues involving contract disputes, fraud, business torts, insurance coverage, real estate disputes, products liability, non-competition agreements, class actions, premises liability, debtor/creditor litigation, non-compete agreements, copyright and trade secret violations, and securities violations. Ms. Thomas is also a Florida State Court Certified Mediator. Ms. Thomas grew up in Tampa and remains very active in the community through her involvement in a variety of nonprofit organizations that have a positive impact on the Tampa Bay area.